The olive green coloured Conservative texts in Hebrew and English are surrounded by three dimensional Paper-Sculpture vines. On the left are some vines which intertwine with the letter S.
The play of light emphasizes the cast shadows. Small 23K Gold Leaf dots add beauty to the complete artwork. 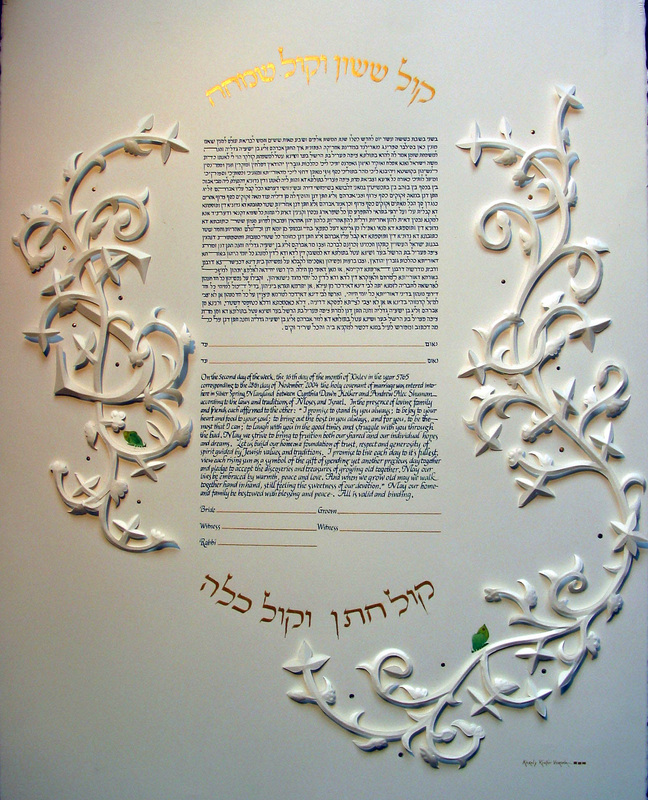 The Hebrew sentence above and below the Ketubah text are: " Kol Sason VeKol Simcha, Kol Chatan veKol Calah"